Here's a little masculine themed birthday card using the adorable Birthdays and Balloons set. 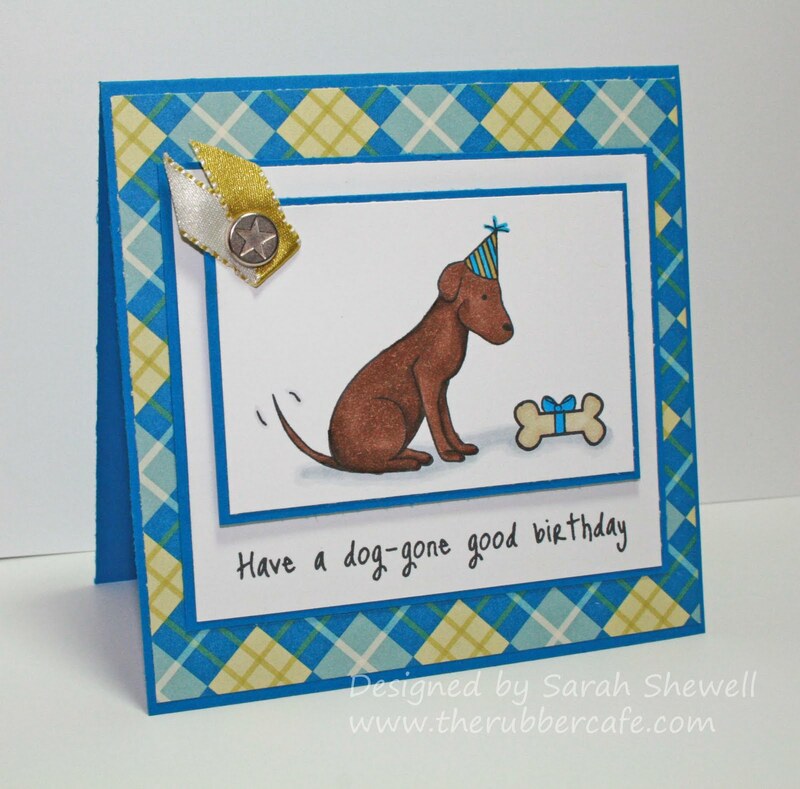 I love the funny and pun inspired sentiments that come with this set, it's a must for any dog lover. I've colored this little guy in with copics and then decided to make a panel for just the dog and his bone. I mounted that on a separate panel with the sentiment and finished off with a touch of ribbon secured by a beefy star brad. What a super cute card!!! !